UCSD’s historic Ché Café will remain open after members of the Ché Café Collective signed a new lease following two years of negotiations with the university’s administration over the terms of the agreement. Under the new lease, the Ché, which has been closed for business pending construction since April, will need to make certain modifications to the building, such as installing fire sprinklers and making the bathrooms compliant with the Americans with Disabilities Act standards, to address concerns about the safety of the cafe. The lease will allow the collective to continue running the “all-ages sober, safe(r) DIY music venue, vegan cafe, community space, and resource center for radical grassroots activists” for 40 months with an option to re-up for an additional four years afterward. However, the Ché’s existence is contingent upon it keeping its nonprofit status and paying liability insurance. 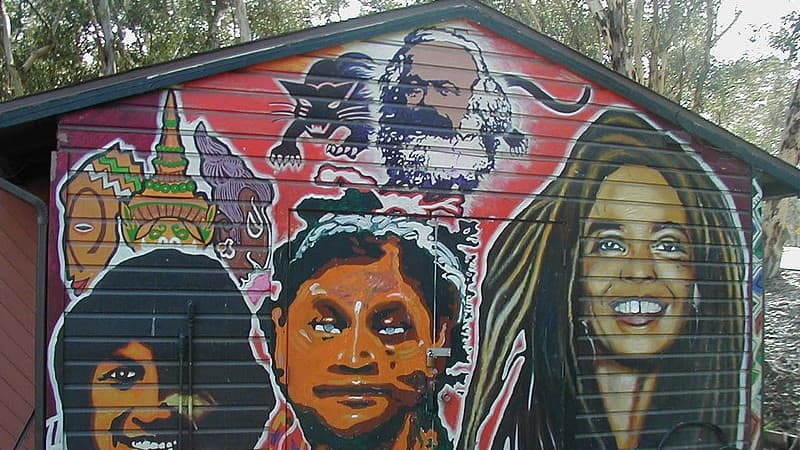 Founded in 1980, the Ché initially had the support of UCSD’s administration, but over the past two decades, the Ché Café Collective has faced increasing resistance from the university, which attempted to close the venue on several occasions. One example of this was in March 2015, when UCSD served the Ché Café with an eviction notice for alleged safety issues, prompting students to occupy the venue 24/7 for over 100 days. The showdown ended in July of that year after supporters of the Ché met with Chancellor Pradeep Khosla, who agreed to a university-funded assessment of the repairs and improvements needed. In this most recent dispute between the Ché and the administration, Khosla once again played a role in resolving the situation. Following the reversal of the administration’s choice to evict the Ché, the administration and the co-ops began negotiations of the lease that was just agreed upon. Ché Café Collective core member Lane Barlow told the UCSD Guardian that the Ché and the university had opposing goals for the lease at the outset of negotiations. “We wanted to [keep] the terms of the old lease with some adjustments, but administrators were pushing a lease that was dramatically different,” Barlow said. Barlow added that even toward the end of discussions, there were still disagreements about the terms. According to a statement to the San Diego Reader by UCSD alum Monty Kroopkin, who was involved in the founding of the Co-Op Union, “it was always lower-level administrators who had an [ax] to grind.” Kroopkin later clarified in a comment that the administrators scared the University Center Advisory Board, which is responsible for the appropriation of student fees to Price Center, the Old Student Center and the Ché, into refusing to provide funding for improvements. Khosla then intervened and agreed to provide money from his discretionary fund to finance the needed renovations. Despite the past disputes with administrators, Tom Corringham, a member of the Food Co-Op, believes the co-ops’ relationship with the university will be much better in the future. In addition to the construction, the university will also pay for utilities, as specified by the terms of the lease. Other major victories for the Ché in the lease include that rent was lowered to $1 per year, the Ché will hold special student organization status and membership is open, while their main concession was that Associated Students and the Graduate Student Association are no longer third parties, Corringham noted. “Overall I’d say the effort was a success, conceding on several compromises requested by the university while winning many hard-won victories that will ensure the continued life and success of the co-ops and collectives for eight more years,” Corringham stated. The new lease is technically known as the Master Space Agreement, which is a joint lease that covers all the co-ops, meaning that the lease was also renewed for the General Store, Food Coop and Groundwork Books. Raquel Cisneros, a former Ché Café Collective core member, explained to the UCSD Guardian that when the first MSA was signed in the mid-1990s, the co-ops decided that although there was no significant legal difference between one collective lease and four individual leases, agreeing to a joint lease was important for collaboration and protecting the co-op community. The Ché is expected to begin hosting live performances again in December or January, once it completes the necessary improvements and plans to hold recruitment drives in the upcoming fall and winter quarters. Additional reporting by Sam Velazquez. This story has been updated to reflect new information. One more clarification. About the report in the Guardian article of August 3, 2017, that “…Associated Students and the Graduate Student Association are no longer third parties.” Well, not so fast. The GSA is on record stating that they want to remain a party to the lease. The new AS president and council did not have enough time after taking office, at the end of the spring quarter, to review the question and plan to do that this fall quarter. So, the lease may still be modified to (re) include them. This would not be all that unusual, given that the original 1993 lease agreement (MOU) was modified and re-signed in 1994. Also, the 2005 lease agreement was supposed to be a multi-year term, but it was instead replaced by the 2006 lease agreement. Why is this important? When the AS and GSA and the co-ops negotiated a settlement agreement in 1993, to end years of conflict with the UCSD administration, the AS and GSA believed that it was not only the individual co-ops that had a stake in the agreement (the MOU). They believed the whole student body had a stake in the welfare of the co-ops because the co-ops were established to serve the needs of the student body. The co-ops agreed. Therefore, from 1993 until today, the AS and GSA have been full parties to the co-op lease agreements. That meant that the AS and GSA have had INDEPENDENT power to sue to enforce the provisions of the lease. Kicking the AS and the GSA off of the lease means the whole student body has lost an important legal right and power. This must not stand. Why do I care? Well, in addition to being an alumnus of the co-ops and collectives at UCSD, I am also a former co-chair of the undergraduate student government. (We didn’t have an AS during the years between 1972 and 1977 and we didn’t have an AS president. Instead we had co-chairs of the general assembly, in which all undergraduates had an equal vote. The student government was then called the Student Cooperative or Student Cooperative Union.) I also served as chair of that government’s committee which was in charge of allocating space to student organizations, the Budget/Resource Group. The committee was a forerunner of what became first the Student Center Board, then the University Center Board. I have long been a strong supporter of students’ rights and would hate to see the student body now going backwards, instead of gaining stronger and new rights. No. I helped form the first of the 4 current UCSD student co-ops, Groundwork Books, in 1972. I have been involved with the co-ops since then, in diverse capacities. However, it was the Food Co-op that created the Che Café Collective in 1979-80 and I was not a member of the Food Co-op nor of the Che Café Collective when it was started. I helped found the system of inter-related student co-ops, (now known as the Co-op Union) which later led to the creation of the Che in 1979. There was never anybody saying there needed to be a whole new electrical system. What administrators told everybody was that there MUST BE a retrofit installation of an automatic fire suppression sprinkler system, and that without it the building was unsafe to use and had to be shut down. It was a lie because the state fire code (which the UC system, including UCSD, follows) does NOT and has never required a fire sprinkler system for a building of the Che’s type and age. They scared the student body board, University Centers Advisory Board (UCAB), not the Associated Students. The AS never agreed to shut down the Che. The Graduate Students Association (GSA) did however call for the admin to shut down the Che, after the student board, UCAB, refused to approve hundreds of thousands of dollars of student fees (the University Center Fee) for installation of automatic fire sprinklers and other improvements. The University Center Fee is a self tax the student body voted to collect many years ago, to build and maintain the Price Center, the Student Center and the Che Café facility. The GSA did switch to being a supporter of the Che when a new GSA president was elected and has continued to support the Che and the other co-ops since the fall of 2014. The Che has hosted shows pretty much non-stop for the past 3 years of this fight. The other 3 co-ops actually began negotiations on a successor lease for the 2006-2016 Master Space Agreement (MSA) early in 2015. The MSA was set to expire April 30, 2016. The June 13, 2014 admin termination of the lease for the Che did mean the Che was no longer under that MSA. Therefore, the Che was at first not at the table for these talks. The Che Café Collective, in separate negotiations with the administration (starting with the meeting with the Chancellor on July 15, 2015) got an agreement with admin that the Che could join the other 3 co-ops in the lease negotiations, despite the Che lease remaining terminated. The Che joined the lease negotiations already in progress, in March of 2016. The admin and the 3 co-ops still covered by the MSA agreed to amend the MSA to extend the expiration date from April 30, 2016 to December 31, 2016, and then again to June 30, 2017, as the negotiations over lease specifics slowly progressed. The Che has not hosted bands since April because everyone thought the new lease would be signed by early May of 2017. The negotiations early on (in 2015) had included a plan for the Che Café Collective to temporarily turn over possession of the space to admin within a week of signing a new lease, so that the construction work on the Che building could then begin as soon as possible. The expectation of starting the construction work is why the Che stopped programming in April. It was not because of the starting of any new haggling at that time.